Rilakkuma Shop: Rilakkuma Shop needs your help! Rilakkuma Shop needs your help! LAST day left to YEAR 2011! 129 more to 10,000 FANS! "We are hoping to hit 10,000 fans by 31st Dec 2010 as a conclusion for year 2010!" 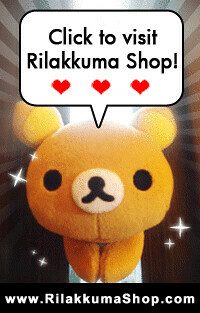 Rilakkuma Shop was under planning in the early Jan 2010, and officially launched in Mid April 2010. We are delighted to see many Rilakkuma lovers who supported us throughout the days. We rose from nothing to an amazing growth.. (at least to us =P) of 9,000 fans within approximately 8 months! And now we are hoping to conclude this fruitful year of 2010 by hitting the 10K mark on our Facebook page! Do help us make our wish come true by suggesting our page to your friends who loves Rilakkuma or Cute plushies! 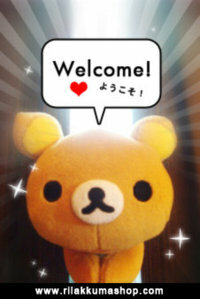 Share the love of Rilakkuma! Share our joy! Stand a chance to win a pair of Rilakkuma & Korilakkuma 2011 Limited Edition Rabbit Plushies! You will be provided with an unique 10% discount code when we verify your entry! This coupon is for a one time usage and will expired in 31st Dec 2011.